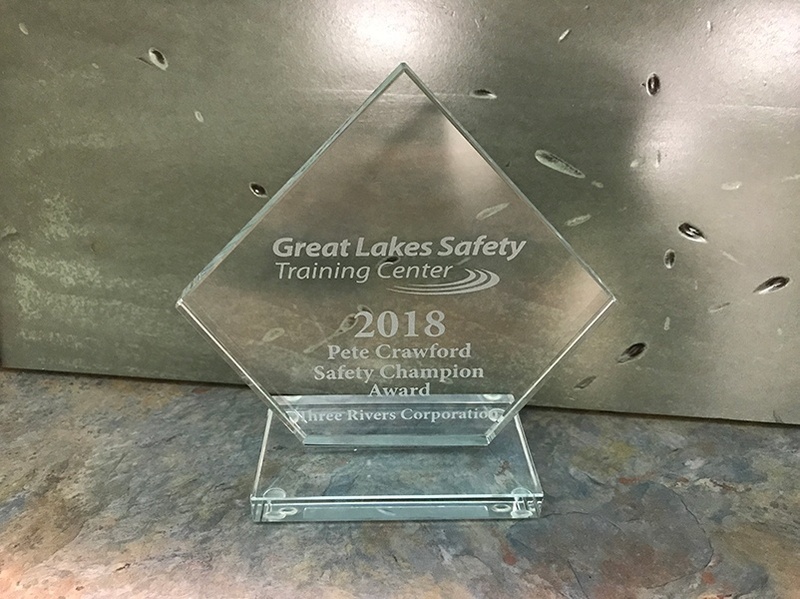 The Pete Crawford Safety Champion Award is given to a Great Lakes Safety Training Center (GLSTC) member who exemplifies commitment, passion and dedication to the safety of their employees and colleagues, which are committed to maintaining safe working environments on their job sites. Three Rivers and Fisher Companies is proud to have received this award on March 14th at the GLSTC Annual Meeting. “It is an honor to receive an award like this, we are proud of our work force and their continued dedication to safety performance” said Jon Lynch, President of Three Rivers Corporation. Three Rivers is a full-service design/build, mechanical, and general contracting company located in Midland, Michigan. Since 1976, Three Rivers designs and builds energy-saving, cost-effective and sustainable buildings that make Michigan more vibrant, more exciting and more productive. We stand by our customers at every step, from expert in-house planning and design services, through on-site contractor expertise, and construction management. We take pride in building quality projects, safely and on-time – because we live, work, and play here too. That’s why Three Rivers Corporation puts More Than Construction into every project. For more information, visit www.TRCcompany.com.